So CB is an "old school radio device" and 10ft is a "giant antenna?" I imagine the neighbours complained, because many people like to complain about anything that is outside their narrow experience. I doubt that a modern, type-approved CB would interfere with television, unless if was faulty. It would interesting to know what kind of apparatus he was using. 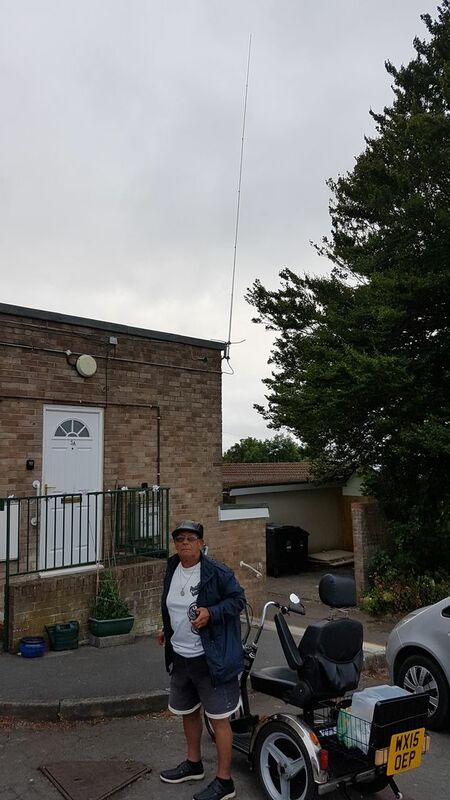 He could do with someone local putting his aerial in that tree and rerouting the cable out of site...just a thought. lars wrote: It would interesting to know what kind of apparatus he was using. I am not a CB fan, but that does not look that modern to me..But it's certainly not a valve set & there are valve CB's around. It's just ugly, and the planning people DO take that into account - in their 'appropriate to the area' considerations. That said, it's not as big as I expected, but nowadays, appearance IS of vital importance as if eatable value is impacted by what people do to their homes, then the planning departments can do things to prevent home owners making changes. Like painting houses daft colours, and near where I live, having a 25ft plastic giraffe and two 20ft toy soldiers peeping over the fence in a typical road in the town. The giraffe's head is level with the eaves, and the other stuff easily visible over the 6ft high panel fence. Some areas still have permission required for TV and satellite dishes, so in this case it's not cut and dried - it could need planning permission, and nowadays this is ignored when there's no big impact, but they do have to follow the rules following a complaint. On the interference front - I doubt that he is causing interference to the TV - because on digital, interference usually just freezes or blanks the image for a few second each time the PTT is pushed, and users rarely know what causes it - but he could also be getting into the wiring - then into their audio systems? That's more likely. In what way Mickey Mouse? 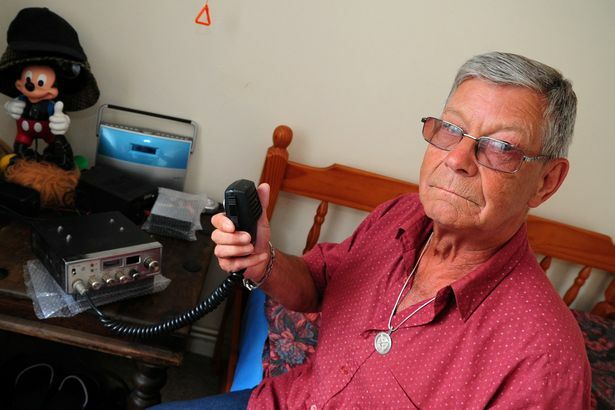 It's just an old CB Radio sitting on his bedside cabinet & a half wave vertical fitted to the end of his building. It looks fairly average to me. Who is that sitting in the top left corner ? I typed a reply - then lost it! All becomes clear now - the house is covered by a tenancy agreement that has the usual clause about tenants not being allowed to put up aerials (or keep sheep or goats). Clearly - when you sign these things, then they can make you remove them if somebody makes them aware of it! Metradio wrote: Who is that sitting in the top left corner ? OK..Yes, I see that now & I did in May.